John Christmas B.Sc (Hons) FRICS – John is a Chartered Building Surveyor who started his career in large London firms of Chartered Surveyors and qualified in 1982. He moved to Dorset in 1986 and has worked with a small practice in Dorchester prior to managing the surveying department of a national firm of Chartered Surveyors and estate agents. He set up in practice in 1999 based in Dorchester. 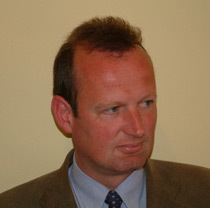 He has a wide experience of all building surveying work but has concentrated particularly in the surveying of country houses and surveying commercial buildings, the diagnosis of defects and acting as expert witness in cases involving professional negligence and building contract disputes. 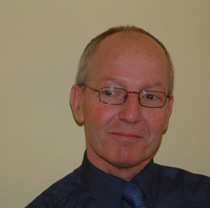 David Brugge B.Sc (Hons) MRICS – David is a General Practice Surveyor but has a wide range of surveying experience. He qualified in 1992 and managed the surveying department for a regional firm of estate agents for 5 years before becoming a Contracts Manager of a local house building company. He has a broad experience of both Building Surveying and Valuation matters and like John concentrates on the more traditional vernacular property. He has worked in Dorset for 28 years and now lives in the west of the County near Beaminster. At Christmas and Brugge we are happy to answer any enquiries in regards to our services and we are always happy to help!